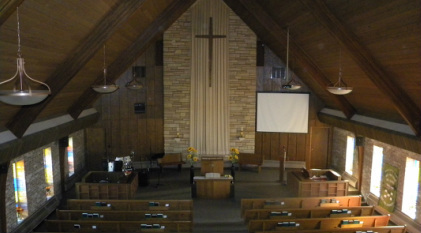 We celebrate a heritage of God including the five Baptist churches of Delmont, Dry Creek, Lake, Parkston, and Tripp. In the early years, all five were served by one pastor. Twenty-three pastors have served here in our history. Only Parkston and Tripp still had services when in 1968 the decision was made to build the Memorial Baptist Church in Parkston. The building was dedicated on January 31, 1971, made possible by special and sacrificial gifts of many people at that time. The Church celebrated its centennial in June 1993. In recent years, the sanctuary and the building have been updated to better facilitate the main goal of the church: letting people hear God's Message.